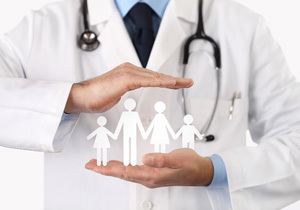 We at My Family Life Insurance can help with health insurance. We receive many phone calls from people looking to switch health insurance carriers because of high monthly premiums. You may not realize, but we convince most of them to remain with their current insurer. Why? Health insurance is more than a monthly premium decision. It is an out-of-pocket cost decision which includes deductibles, copays, coinsurance as well as network, pharmacy costs, and a whole host of other variables. When taken all together, we have found that the current insurer may cost less than an alternative from a total cost perspective. Naturally, however, the decision to switch really depends on your situation. While many remain with their health insurance (and we are certainly open to helping people switch when it is in their best interest to switch), we can help our clients more by addressing the often overlooked dental, vision, and hearing insurance. There are also over 1 million workers and families without this important coverage. If this is you, we can help. There are low-cost plans available if you are working within a budget. Medicare seems like alphabet soup. Where do I start? What is the difference between a Medicare Advantage plan and Medicare Supplement plan? I don’t take any prescription drugs. Do I still need a Part D Drug plan? Will Medicare cover my long-term care? I have retiree medical care from my employer. Do I need Medicare? While Medicare does cover many services, it does leave holes. Depending on the plan selected, you may leave yourself vulnerable to high out of pocket costs from significant illnesses or injuries. Luckily there are plans that will fill the holes and pay for some, or all, of these costs. Need help determining which healthcare plan is right for you, your family, or your business? At My Family Life Insurance, we understand how to balance the right plan with your budget and your other, important responsibilities.